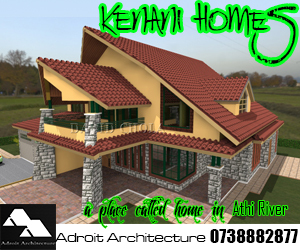 One of the most elementary requirements for man is a place to live, which means that development of sustainable architecture in Kenya is probably the most typical use for architectural design. Architecture is definitely many-sided, and is constantly developing from one construction to another. Then again, the best form of building design is design of buildings that go further than focusing on merely the practical perspective and is responsive to the other pillars of building design such as creativity, function and economy. All this must be accepted in a building that works and which is eco- friendly in its build. An architect therefore is charged with the responsibility to create buildings that have meaning, for each building that they get the chance to design and supervise construction on. For one to do justice to a design project, it is imperative for a designer to go beyond the obvious need for a building that works functionally to something much deeper. The building must not only be a place to carry out human activities but also needs to be a place where users experience a deeper sense of meaning when they visit or use that space. The architect must create icons that capture this monumentality in whichever sort of building he does. An architect interested in creating great designed architecture must look at their design work at a level of creation of an artwork that will stand in the real world, in three dimension. It must be a masterpiece that is indeed functional, but also tells a story of relevance to its users. It is architecture that must transcend time and show its ability to be flexible to user requirements through time, and must age in a seemingly timeless manner according to the forces of time, using weather proof materials that age gracefully and remain relevant to advances in time. 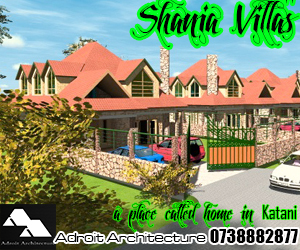 Thus it is with house plans in Kenya that have gone beyond the ordinary requirements of a family finding residence and more towards a creating an interesting built form. Such a building has strong meaning, as its form requires to respond to certain forces that are shaping it. The building needs to be strong in its form, and responsive to its environmental context. When designing house plans in Kenya, the architects should consider that a building needs to be green in its essence, strongly adopted to its context through its ability to meet its functions in an energy efficient manner, without being unnecessarily expensive. Buildings that are sustainable must take care of how they are placed on a site. They have to be oriented in such a manner as to receive optimum natural light and heat if required by its functions, without the need for too much artificial intervention. This must be done to conserve whatever natural resources they enjoy, harnessing them to the maximum. Water and natural air movement become resources to harness wisely, not to waste. The specs of fittings within the building become vital to ensure this. 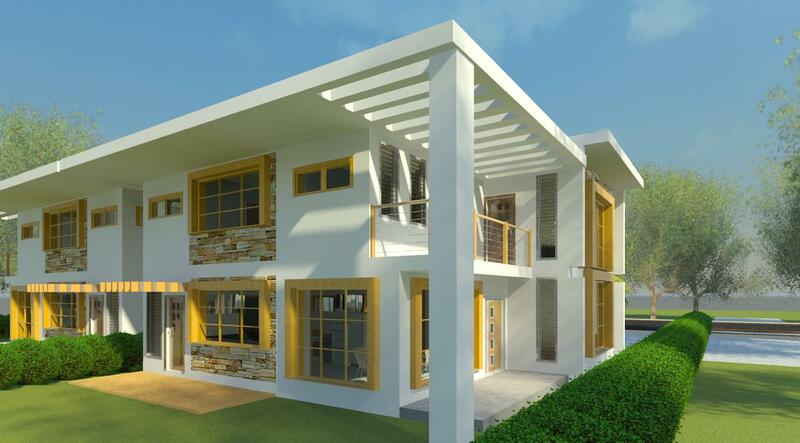 One matter that hits at the core of sustainability with regards to elegance in house plans in Kenya is the use of naturally occurring materials within a region in the context of a building. There are beautiful materials that one can find in the region in proximity to where you are interested in building. One sure advantage of locally available construction materials is that the building built with them has a lower carbon footprint due to less transportation, resulting in lower impact to the environment. For example, when specifying materials for external walls, one can find a delightful mix of quarry stones of different colors that will match your taste, whether they be brown, grey, green or blue. If you prefer ochre coloring more, there are great bricks that can be had using natural pressing techniques or mechanized pressing methods. Timber of attractive shades may be found using mahogany, oak, cypress or other timbers that are naturally occurring in the region. The need for buildings that are sustainable and affordable can hardly be more felt than in the development of residential buildings. 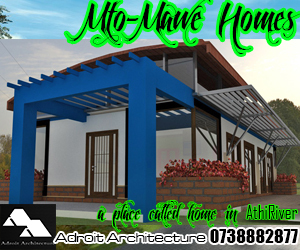 Constructing house plans into finished homes requires developers and architects alike to approach their developments with a view towards sustainable architecture in Kenya. 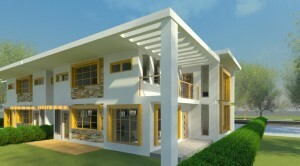 Your designs are truly amazing…..will try and get hold of one of your designed projects.